This topic contains 3 replies, has 2 voices, and was last updated by Tracy Bui 4 weeks, 1 day ago. It doesnt work on above header form on this page. Yes, But Why not able to choose from the top option? It should also work exactly same. I have highlighted the part, because sometimes users get confused and complain when something doesnt work. 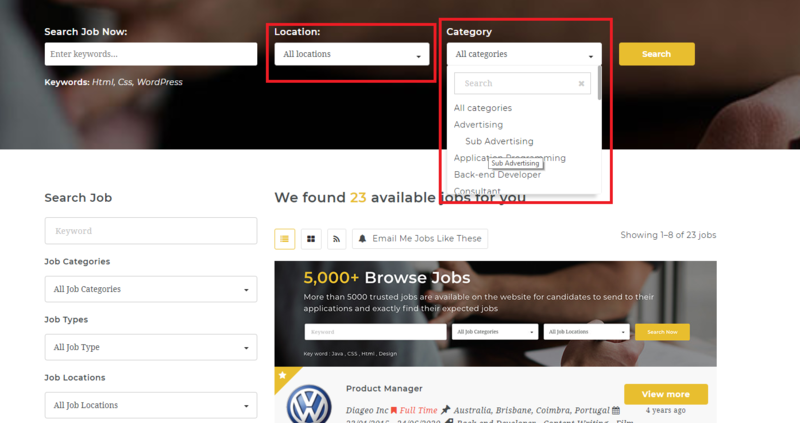 Currently, Jobmonster's theme only supports to select one field when searching from job search section. In the future, we will consider adding multiple selections in it.